Click on the picture to find out more about the photographer and how the picture was taken. The first anniversary of last year's terrible natural disaster in north eastern Japan is less than three weeks away. 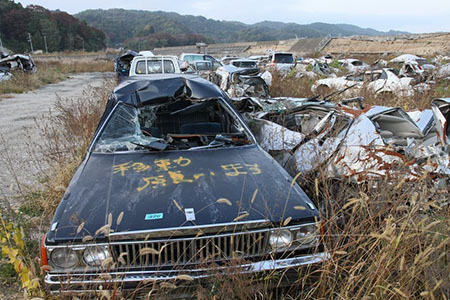 Today's POTD reminds us of what the tsunami left behind. The debris acts as a metaphor for the human price of this tragedy. If you would like the prospect of being chosen to featured on the DPNow POTD, register on our discussion forum, netting free gallery space, and the rest is up to you! And you can help us decide who gets featured in future by nominating your favourites from the DPNow gallery.